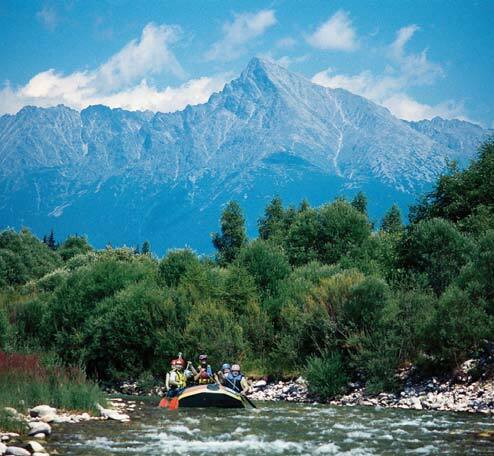 The High Tatras National Par k is the largest and most important natural reserve in Slovakia. The snow capped peaks of the Vysoké Tatry (High Tatras) sierra reach out to the heavens. They are just the right height – not too high to prevent people from climbing the rocky paths to attain a marvellous view, yet not too low to stop mountain climbers from challenging their skills and getting an adrenaline rush! In winter the High Tatras is a skier’s paradise. In summer picturesque green valleys with water bubbling in streams and lakes offer peace and relaxation. Over 550 species of flora can be found in the Valley of Seven Springs, regarded as an entirely unique botanical garden of Europe.